Spent the afternoon with my Telegu connection here; they’re from the next village over from my Mom’s outside Madras. 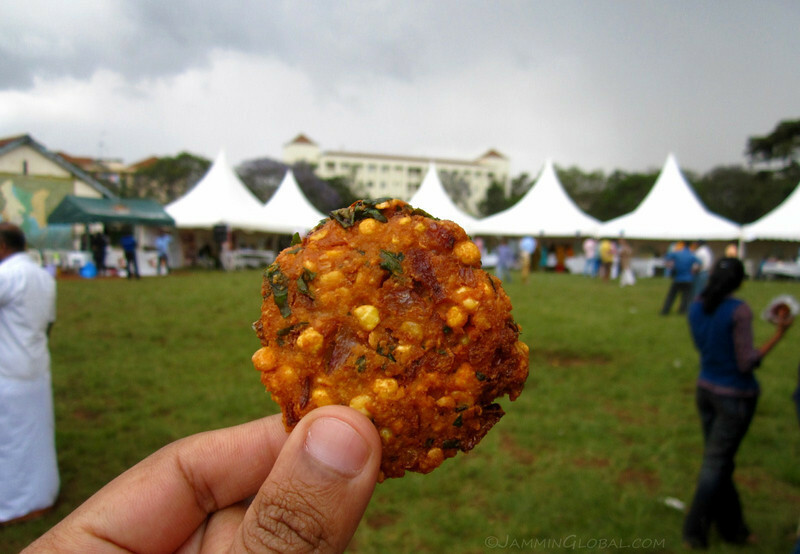 We went to the annual Nairobi South Indian Food Festival and had Chicken 65 and Masala Vadas, delicious! Then lunch at an Andhra Muslim family’s house of Paneer Samosas and Mutton Briyani. I’m stuffed and happy 😀 Amazing variety in Indian food. Also good to speak Telegu, my mother tongue. Freshly fried South Indian Chicken 65. No one knows what the 65 refers to but everyone knows what it tastes like. 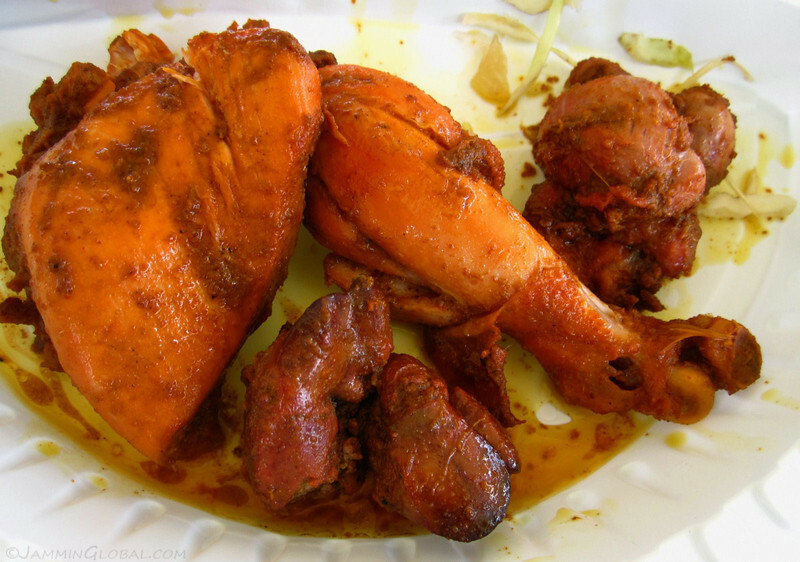 It’s almost like tandoori chicken, but fried instead of roasted. Not spicy but full of flavor. Besides the two big pieces of chicken for 200 Kenyan Shillings ($2), I also got some fried gizzards and livers, that most people don’t like. I find offal so rich in taste and agree with the idea about eating the whole animal if you’re going to kill it.